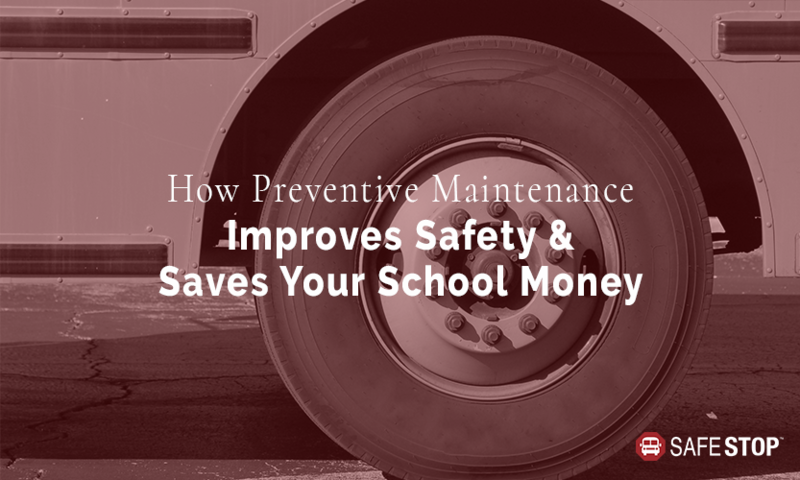 Now that the new school year has kicked off and school buses are rolling through their daily pick-up and drop-off routines, it’s time for school bus transportation staff to think about their preventive maintenance measures for the fall. Having a detailed and reliable plan is integral for school bus repairs that will help school administrators, transportation staff and parents feel confident about student safety. Additionally, scheduled upkeep saves money by addressing problems sooner, reducing unexpected hiccups later, and often decreasing repair costs overall. In the end, these checklists can help school districts keep their school buses younger for longer. Preventive maintenance checklists should be done throughout the year in order to regularly change motor oil, fuel additives, oil filters, and coolant filters. On an annual basis, transportation staff should replace air filters, transmission fluid and filters, rear differential oil, hydraulic oil and batteries. Start by approaching the bus from the outside as if boarding. Check whether the entrance door works well and seals properly, the grab handles are secure, and the step well and step treads are safe. Then look for any fluids that are leaking on the ground, check for cleanliness at the entrance, and locate the emergency equipment up front. Within the driver’s compartment itself, test the starter operation, including gauges, warning lamps, brakes, turn signals, hazards, head lights, mirrors, wipers and the driver’s seat belt. After inspecting the front portion of the bus, walk through the rest of the best to look at seat conditions, fasteners, and side windows and their latches. Then check the emergency exit, its latch, buzzers and decals. Test the radio and announcement system as well. Step off the bus and walk around it to see the exterior lights, stop arm, reflectors, doors and hinges, and any body damage. Then look at batteries, cables, electrical wires and fuses. Now it’s time to get under the bus to check for fluid leaks, proper wires and cables, and overall bus operation. In particular, look at the steering gear, front axle and springs, transmission, brakes, hoses, air tanks, fuel tanks, oil level, and exhaust system. Finally, do an in-depth check of the engine compartment and all of the fluids that are needed to safely operate the school bus. For instance, don’t forget the hydraulic and steering oil and coolant level. Then double-check the air filter, fan, alternator wiring, belt tension, and engine cleanliness. To learn how SafeStop works and what the app and its analytics platform do to help keep your students safe on the bus to and from school, request a demo or talk to one of our team members today.